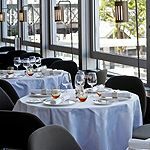 Please complete the form and press 'Send Booking', you will then be contacted promptly by Skylon Restaurant to confirm your booking. Please note, this form submission is not your confirmed booking. By sending this booking, your details will only be sent to Skylon Restaurant and will never be shared with other third parties.